Includes a 1-year subscription to Construction Claims Advisor (a $329 value). -- includes 50+ FREE construction webinar downloads (Expires April 30). Great, concise presentation of the subject matter! Very detailed presentation. I think I would be interested in other presentations. Very informative webinar and I would definitely attend others in the future. 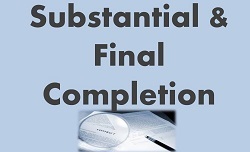 "Substantial completion" is an important milestone in any construction project and may define important of rights and responsibilities between the parties ranging from the commencement of warranties to the termination of liquidated damages to release of retention, and many other allocations of obligations among the parties. "Final completion" bears similar importance. These contract concepts may also play a definitive role in extra-contractual considerations for such issues as lien or bond claims, statutes of limitation and statutes of repose. Given the importance of these concepts, participants in the construction industry do well to heed the definitions and ramifications of substantial and final completion, and related topics like certificates of occupancy. A thorough understanding of these issues and careful attention to their details during construction can save inestimable time and money where wasteful disputes might otherwise arise after the project is done. This webinar is a must if you’re a public or private owner, construction manager, contractor, subcontractor, consultant, architect, engineer or attorney. Stephen A. Hess has been identified as a Best Lawyer in America in “Construction Law” and in “Litigation – Construction” through his practice with Sherman & Howard, LLC in Colorado. In addition to serving clients on matters around the country, Mr. Hess is an active author, scholar and speaker. He previously served as the Editor of the American Bar Association’s law review The Construction Lawyer, as well as Editor of Construction Briefings, a national construction law review, and has edited national construction law treatises. Mr. Hess has written numerous law review articles on topics covering the breadth of construction law and litigation, has spoken nationally at construction law programs, has written several treatises on litigation-related issues, and is an Adjunct Professor at Sturm College of Law (University of Denver), where he created the school’s Construction Law Seminar. He is a member of the American Arbitration Association’s National Roster of Construction Arbitrators. 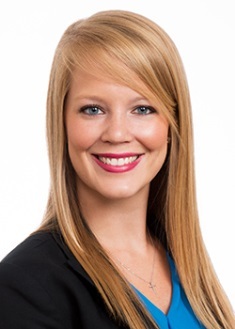 Allison Mikulecky practices in Sherman & Howard's Litigation, Trial and Appeals, Construction, and Government Contract Practice Groups. She assists clients in the area of construction, government contracts, and general commercial litigation. Allison is a Member of the National Association of Women in Construction. She joined Sherman & Howard after graduating from the University of Missouri School of Law where she was the Lead Articles Editor for the Journal of Environmental and Sustainability Law.